“‘A roller coaster ride with thrills, spills, laughter, 'What I Thought I Knew’ leaves us breathless… Taking effective swipes at the American healthcare system where no one apologizes...Cohen's onstage work is nearly magical." 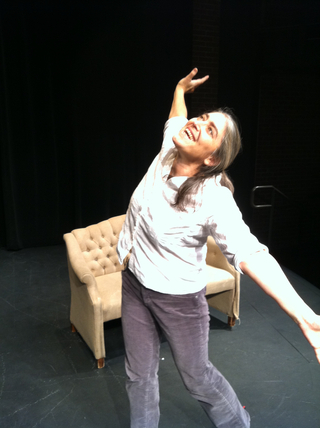 “Alice Eve Cohen’s one woman show What I Thought I Knew, was AMAZING. Raucous, sad, moving and exuberantly funny. You can't take your eyes off Alice--or your ears away from a story of resilience in the face of everything you can think of going wrong." "A compelling story told in an intimate voice, alternately humorous and gripping." "This play takes us on a gripping ride." A solo play with 40 characters, based on her memoir - Oprah magazine 25 Best Books of Summer; Elle magazine's Grand Prize for Nonfiction, Salon.com Year's Best Books - the play is a riveting odyssey through doubt, a broken medical system, and the complexities of motherhood. Alice was happy for the first time in years. After a difficult divorce, she had a new love in her life, she was raising a beloved adopted daughter, and her career was blossoming. Then, she started experiencing mysterious symptoms. After months of tests, X-rays, and inconclusive diagnoses, Alice was sent for an emergency CAT scan that revealed the truth: she was six months pregnant. At age 44, with no prenatal care and no insurance coverage for a high-risk pregnancy, Alice was besieged by opinions from doctors and friends about what was ethical, what was loving, what was right. A dark comedy performed by one actress playing 40 roles, the play grapples with complex issues—including women’s reproductive rights and our country’s healthcare system—in a deeply personal way, inspiring public engagement and conversation across the political spectrum. August, 2018: Minnesota Jewish Theatre Company, 3-week run, main-stage season. 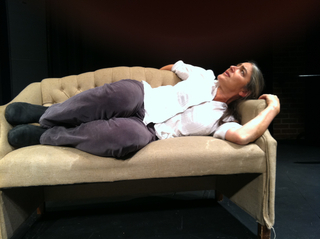 June, 2013: The Kitchen Theatre in Ithaca, NY, 3-week run, main-stage season. Finalist, O’Neill National Playwrights Conference. "While filled with Cohen’s characteristic warmth and humor, What I Thought I Knew indicts the health care system." "Judges were struck with your solo play's creative, darkly comedic and critical reframing of iconic feminist and very human questions around choice, parenting, and women's health for the stage. With wit, a compelling personal odyssey, and a panorama of vivid figures and loaded scenarios in America's landscape of reproductive culture, you hook audiences, offering new perspectives and emotional (as well as cultural) lessons on life. Thank you for sharing this adaptation of your book, and for crafting a highly-theatrical narrative that is at once highly personal and social, moving and profound. As a reflection on Life (and Death) What I Thought I Knew is challenging, beautiful, and defiantly funny."